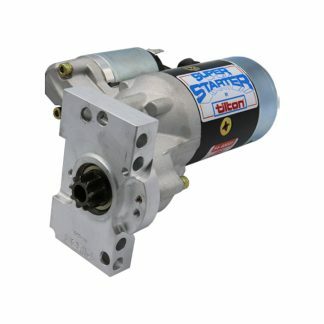 Tilton’s new 40000-Series Severe Duty Super Starter has been engineered to be the best Super Starter to date. An evolution of the venerable 20000-Series Super Starters, the 40000-Series benefit from 30+ years of knowledge gained from designing/building/servicing starters for some of the most punishing racing applications. Each component of the starter has been closely scrutinized by Tilton’s engineers and thoroughly tested on the dyno and at the race track. 40000-Series Super Starters are designed for individuals that desire the most robust and high-performing starter available.